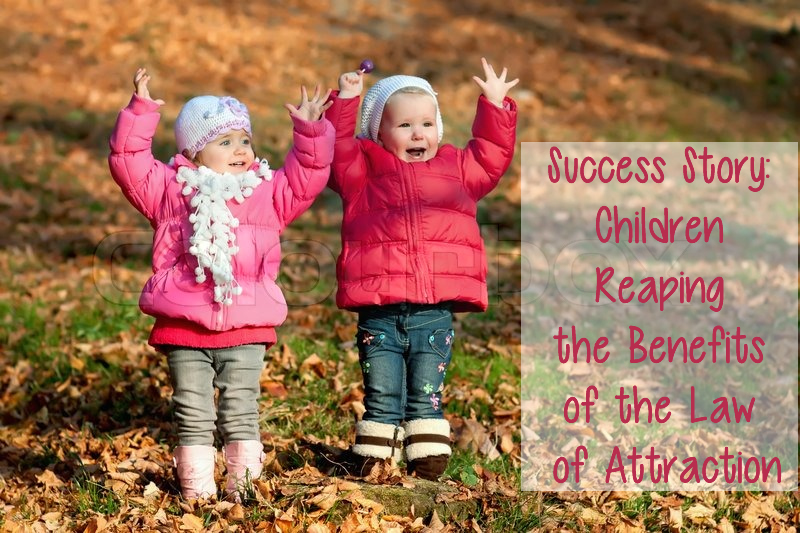 Today’s story shows how children can use the powerful law of attraction to their benefit. I purchased a copy of “The Power of Henry’s Imagination” when it was first published but because of the distance to my granddaughters, aged 4 and 6, I did not have the opportunity to read the book to them until a visit two weeks ago. It turned out that the 4 year old had lost her favourite toy, a small fluffy unicorn, some time before my visit and she was still feeling the loss. I read her the book about Henry and the similarities were amazingly close to the story. We talked about how she could imagine that her unicorn was with her if she kept thinking about the toy and imagining it back with her. We had a Skype link up a few days ago and there was still no sign of the toy. I told her that she must think very hard and believe that she would see her toy again and she went back to the toy box. I spent about 10 minutes talking to the rest of the family when there was a loud shout, “I’ve found it, I’ve found my unicorn!”, and she came running back to the computer with the unicorn in her hand and with eyes full of wonder and happiness. The unicorn had been ‘hiding’ behind some books in the bookshelf close to the toy box. It was a moment I will not forget and I hope that both little girls remember to think and believe whenever they have a challenge. Thank you Skye for your wonderful little book. I am sure that it will become a favourite book for my granddaughters. About the author: I am semi-retired and love visiting my children and grandchildren who live in Melbourne. I have been a believer in The Secret and all the other books and use the techniques of The Secret every day.